23 March 2017 is World Meteorological Day: this year’s theme is Understanding Clouds. Clouds are of enormous importance for weather, climate and water. Clouds are central to weather observations and forecasts. Clouds are one of the key uncertainties in the study of climate change: we need to better understand how clouds affect the climate and how a changing climate will affect clouds. Clouds play a critical role in the water cycle and shaping the global distribution of water resources. (from WMO). 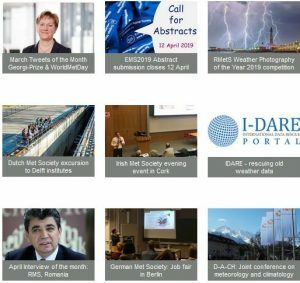 World Meteorological Day also sees the launch of a new edition of the International Cloud Atlas after the most thorough and far-reaching revision in its history.